-Heroic Rancor and Nomal AAT: opened from 09:00AM to 09:00PM, 0 damage till 09:05PM. -We have plan to fight hAAT for next 3 months. +Do not off over 2 days; if you're busy please notice to guild. *Thanks for reading my post. Order of Reapers is looking for people with jobs and family obligations and great players when they have the time too play. This is a nitch guild not setup for the extreme players but, good causal players that dont have too stress about getting 600 every day and not get booted for being 40 points short. Raid times will be appropriate to est and pst time zones and we have enough members we can set a vote on the time. Open to small guild mergers, but only too my guild not open too moving. Agents of Ossus is looking for more active players. We raid 1-2 times a week (low active player count), but we are almost prepared to take down Heroic AAT. We already nuke Heroic Pit, so we're perfect if you're looking for some easy Han Solo shards. Raids launch around 9pm EST. Our only rule is regarding damage on the Pit, and we ask that you keep to 1mil in damage to help more people get in on it. Otherwise, get as close to 600 as you can, and just let us know if you're going to be away from the game. Real life happens and we understand that. Add me if interested. We're accepting all skill levels. Message me if you have any questions. Purple Crystal Addicts is looking for new members to get to Heroic AAT! Rancor Rules: Zero Damage for first 24 hours - Free For All after that. Aim: To have a fun and regular active community, do as many raids as possible, help one another in the game. We are now trying to get to a level to be able to get through a Heroic AAT tank raid. We need quite a few players to do this. Currently: We are capable of doing a Rancour raid in 1 hour with 6 regulars. Our current policy is to have players wait 24 hours before doing damage scores. This allows players to get ready and post 0 zero scores first in case they wont make the raid. By doing this all players have the opportunity to get some kind of reward in the end. We are currently starting raids at 9pm GMT - this is negotiable and in the past we had a rotating start time to cater for different time-zones. We are looking for: Players of 80+ level and who are regularly active, looking for at least a daily coin target of 350. Prepared to join LINE chat to join discussions and help with decisions. We also encourage exchanging gear with one another. We are a small team wanting to build. Supreme Leader Snoke commands you to join TheFirst0rder! We currently produce 23-26k tickets per day and are regularly looking to replace our least active members. We estimate that we'll be attempting HAAT raids soon after the next Thrawn event (possibly October). Heroic Rancor raids are every 2-3 days and normal AAT raids are every 3-4 days. Both raid start times rotate 8:30pm, 4:30am, 12:30pm Eastern time. Heroic Rancor open for damage 12 hours after these times, zero damage beforehand. Normal AAT raid: FFA from the start. Guild reset time zone is USA EST. Apart from the zero damage period we have no strict rules but players who become inactive are removed regularly to keep raid ticket production up. You are encouraged to join our LINE group where we discuss the game and help each other improve however participation here is not mandatory. We are a very friendly bunch of players from all around the world, mainly USA and Europe. If you're interested in joining send me a private message on this forum or add me on LINE or Discord and we'll talk there. Small guild, no rules, no requirements! A small place to grow but if we grow together, we will be great!!!! The Corellian Refugees are close to capacity, with room for 4 new members. Pulling 20K+ raid tix/day. Excellent time to get in here! We're a helpful, relaxed, & fun-loving yet dedicated guild, in need of a few more guild mates to fill out our ranks. We're mostly US, with a few on Australia's east coast, and player levels from 65 to 85. 600 highly encouraged, not required, but the more tix we earn the more often we raid, so most try to hit that mark. Guild activities reset at 7:30 PM US central time, and we launch raids at that time. Current raid tiers and rules: AAT is normal & FFA, & Rancor is heroic with 24 hour zero damage so all can get in on the loot & Han shards. Out of game chat in Discord (keithereal#8467). PM me for more details, or add me using ally code 581-332-129. Hope to have you join us! We are easy going and enjoy helping lower level players. Mostly F2P. Tank Raid: We are preparing to start Heroic Tank raid sometime in the next 3-4 months. Currently we are doing Normal Tank raid, though it takes us about two days at the moment. Ultimately we would like to become strong enough to do Heroic, but definitely need some depth. Pit Raid: We do Heroic 1-2X a week, depending on how guild tickets come in. Our rule is only 1 team per member can attack in the first 24 hours. For the "heavy hitters" of the guild, we restrict them to using their B or C squads to prevent them from soloing the raid. If you are capable of putting up 1M with one team on Heroic Rancor (even with Teebo/Jyn in Phase 1), consider yourself a "heavy hitter" (P.S. we like that, come join!). Guild description: We are an Active, but laid back guild of members from mostly the US or Europe. Some are young, some have families. If you love this game but don't want to make it your job, this is the guild for you! We like to remain "relatively" active so we have an Activity requirement of 14 days. If you go inactive for 14 days, you are instantly cut from the guild. If you need to go inactive for more than that (and we get it, life happens) simply let the leaders know and you can keep your spot while you handle what is likely far more important life event than a smartphone video game. A lot of us are F2P, but have been playing quite a while. 4 of our F2P guys unlocked Commander Luke, so you can friend us in the guild and use our CLS to help with cantina and node unlocking for those higher levels. We don't require Line or any texting app, guild chat works just fine for our pace and activity level, and we'll take most any player over level 75 (provided you are interested in hitting lvl 85). So if you are interested, shoot me an Ally Request and come join! -Currently finish Heroic rancor quickly after reset and NAAT takes us about 36 hours. We are currently trying HAAT around the first of every month until we complete it(last attempt made it to tier 3 with 30 members participating). Currently Recruiting for a new guild with a high focus on high level content. must be a daily active member and consistently post damage on every raid. must communicate in the ingame chat. -Rancor Tier 7 is keep damage under 1 mil or less if you're already high rank. Info: We are already quite a strong guild who are close to being ready for Heroic Tank Raid. Looking for some committed players to top off our almost full guild! Add me as ally or message here for info! Yavin 4X - an Australian raid time Guild needs more recruits. We are currently a Heroic Rancor & Normal AAT guild aiming to move to HAAT. We're short on members at the moment with 37/50. Most members are level 85. Rancors Raids has a 24hr registration period and damage opens at 9pm AEST. We use Discord to chat. 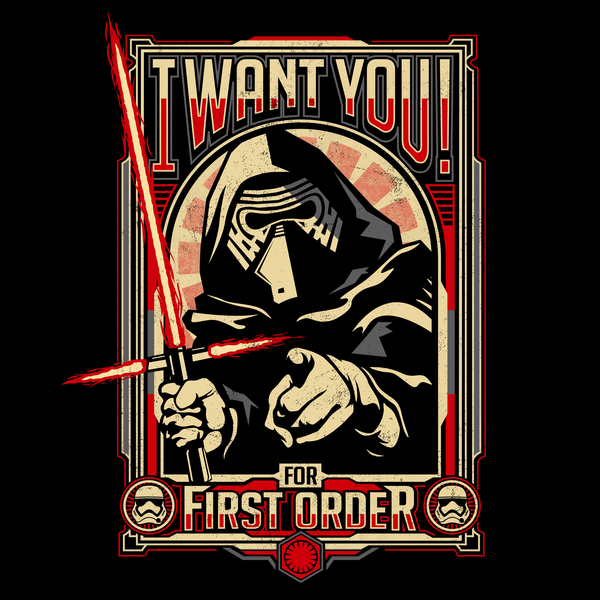 Dark Side Unlimited is recruiting for normal AAT raiding with the view of all pulling together to get to Heroic by the end of the year. Rules - Rancor raid has a 24 hour 0 dmg rule and then FFA. We raid T7 Heroics at 8pm GMT (1pm PST). If you are interested in joining please drop me a message here! * Currently fighting Tier 7 Rancor Raids & Tier 6 AAT Raids – should be fighting HAAT within a month once Guild is back to full capacity. Come and join us every single person in guild is pretty active and dedicated to getting both heroic and territory battles on farm. We had heroic rancor on farm and were 2 weeks away from HAAT. Big group of us decided to leave last guild because of inactive leader and working our way up on to starting heroics again. We should be on heroic rancor hopefully next week with some recruitment that we just started doing recently for tickets. If interested my ally code is 152-374-864. Give me 2 weeks and if doesn't do it for you can leave. Also discord is a requirement for us moving forward. Guild name is Aka'liit. Give us a chance we have a good community and main players have been playing since 2015 . Rest of group that moved over have been playing 4-8 months with some since release. Currently we are not trying to join merge with anybody but if this doesn't work out we may not have a choice. We are friendly guild focusing on being active players, and giving everyone a chance to participate and get loot from raids. (that is why we have a rule of 500k max dmg per player on Rancor Heroic - to allow all peopole to at last hit once a Rancor for reward). For geared players limiting ourselves is a challenging experience. Tank Normal - No limit here as so far it does not die within 24hours - so everyone has a chance to get a piece. We are currently aiming to start doing HAAT but need a few more active players to do that. Also a upcoming event is a very important thing. We have a Slack space for communication/exchcange strategies etc. Timezone: GMT (but we also have a few people from US timezones). Raiding times - atm we are launching Raids at 12.00CET. However upon finalizing recriutment - we will revise a raiding times (by democratic voting). If you wish a pleasent environment, focus on having fun (playing with active, friendly people is fun), mutuall respect. Please feel write to find Lotus Order or PM me first with questions. We are also open to accomodate groups. We have about 25 active players jn our guild but need a few more we achieve about 13k tickets daily we ask that all players achieve 600 per day and always raid when required we do heroic rancor and normal aat we can knock out normal aat in under 24 hours and heroic rancor in 45 mins, we are a friendly guild and want all members to grow we use Line app as a form of communication if your interested in joining our guild message me on line. What sup everyone. Lookn4LuvInAlderaanPlaces is a relatively new guild. We left our old one with the people who want to make it to those heroic raids. Great group of guys everyone is willing to help. we currently have 21/50 spots filled. Most of us are in the level 80+ range. Send me an Ally request @ 686-658-337 and I will send you a guild invite. Our guild, Edge of the Void, is looking for a couple recruits. About Our Guild: Our guild has been around for about a year now. We currently have 47/50 members, having purged a couple players who couldn't comply with raid rules. Nearly all of our members are level 85. We've got a good mix of high-end players along with a number who are developing their teams. Everybody gets along. We've got a lot of generous donaters, and our crew is great with roster-building advice and battle-strategy. We're looking to fill out the rest of our guild with players who are level 80+. We ask that new admits have a minimum of 10 7-stars (ideally, though, we'd like around 25, but we're flexible), be at level 80+ and have characters appropriately starred/geared to compete in Heroic Rancor and AAT. We need active players, especially with the upcoming Territory Battles. The daily refresh is 6:30 p.m. pacific. Rancor Raid: We currently run Heroic Rancor Raids exclusively. We typically rotate starting times of 10:00 a.m. (pacific) and 6:30 p.m. (pacific). For Rancor Raids, our only raid rules are: (1) Mandatory 24-hour Zero Damage period on Rancor Raids, followed by free for all; and (2) players with a full 7-star Raid Han must stay out of a top 3 finish to allow everyone to acquire Han. Tank Raid: For AAT, we are gearing up and working toward HAAT, but right now are finishing normal AAT in less than 48 hours. No restrictions on AAT raid. Activity Requirements: We're looking for players that play no less than daily. We don't have a strict raid ticket requirement (we understand that life happens), but do evaluate each player's contribution on a weekly basis and ask that people generate a minimum of 400 tickets/day. Raid contribution is highly encouraged as will Territory Battle contribution. Players who are inactive for more than 2 days without notifying the guild are booted. Mol Eliza Policy: Our final rule is: no Mol Eliza's. We are sick of seeing that name and find that people who don't take the time to make a unique name usually don't participate socially or follow rules. Third party chat: We use Discord for offline chat. Discord is not mandatory but it is highly encouraged. We are looking for 3 more active members to join our guild. We are looking for members level 80+ who have at least 15 characters at 7* or higher so that they’ll be able to participate in heroic tank and heroic rancor raids with full squads. We are not looking to add any whales/mercs and most of us have been in the guild from early on when it was started. We do not have a ticket requirement but are looking for very active players who will contribute to guild tickets, gear exchange and participate in raids. If you are not active you will be removed (which is why we’re looking for a few more active members). We currently have a group LINE chat going with over 35 members on it but it is not a requirement. We use it because it is easier to communicate on, share strategy, send screenshots of the game, and will use it to coordinate HAAT raids. There are a couple of very experienced members in our guild who are able to guide you along the way or answer questions that you may have. Our guild has members from all over the world so we know how to balance raid times so that everyone is happy. Heroic rancor has a 24 hour zero damage phase followed by a FFA. We alternate raid times between 8:30 AM, 4:30 PM and 12:30 AM (all times Pacific U.S.). This allows everyone to have a raid time that is convenient for them. We are currently knocking out normal tanks in just over 1 day. The guild currently has 4 Zylos and a Zavage so we will be okay in phase 1 when we make the jump to heroic tank. The guild members are currently working on their heroic tank teams for phase 2 and are acquiring either Zavage or a Teebotine/Chirpatine team so that we’re able to get through P3. If interested add me at ally code 977-185-135 and I’ll send you a guild invite or you can PM me with any questions you may have about our guild. Oh yeah, an added bonus is that we have a few members with Commander Luke Skywalker (who they’re currently gearing up) so if you join feel free to ally request them to ‘borrow CLS’ for battles. One CLS is already zeta G9 and will be double zeta within 2 weeks. Aim: have fun. help lower level members gear up and get raid han. Guild about to take on heroic AAT. Currently: clear rancor heroic raids easily. Run 2-3 per week. We vary start time to accommodate international members. We have a 24 hour zero damage period. More powerful members of group often choose to score only zero on rancor raid to help others in guild with growing stronger. We're about helping each other get stronger. We are clearing normal AAT very quickly and are on the verge of taking on heroic AAT once one of our other officers gets back from a break. Only requirement is play fair with raids and log in frequently. If away for a while, just let us know. We are looking for: Anyone! If you have a strong line up and want to join a guild that is about to clear heroic AAT you are most welcome to help the cause. If you only have a handful of 7* toons but want to gear and level up quicker, so long as you play fair with the damage periods, again, you are welcome. Most of us have been playing together as a guild since the start of guilds. Friendly chat. Please join us as we take the final steps in becoming a heroic AAT guild. Are you looking to grow into a Heroic content player? Glint Guild wants you! We are an N AAT/T7 farm guild looking for new, active members who are interested in getting ready for H AAT. We are also affiliated with an H AAT farm guild (Galactic Security), so if you prove yourself you can quickly earn an opportunity to Heroic raid. If you want to grow and progress, we would be glad to bring you in. We have a very modest ticket per day minimum (but you grow faster the more energy you spend); we also have no problem with people taking vacations or brief time off (as long as they give us a heads up). Our chat is always helpful, and we offer tips and advice on how to maximize your game enjoyment. We use Discord for game discussion and raid scheduling/coordination; it is encouraged you join to ensure all members follow fairness rules. Our time zone is EDT (GMT-4), with reset at 730pm EDT. Most of our members are US, but we have members from around the world. If this sounds right for you, please send me a pm. You can also shoot me an Ally request at 622-522-376, or reach me on discord at Mef1428#2087.